Lithium ion batteries. Cell types and components; acitve materials, additives, binders, electrolytes, separators, current collectors and battery casing. Battery processing and equipment; slurry mixing, coating, calendering, electrode cutting, winding/stacking, electrolyte filling and cell closing. Critically important process parameters. Kadri Aydınol is a professor in the Department of Metallurgical and Materials Engineering at Middle East Technical University (METU). He received his PhD in Metallurgical Engineering in 1994 at METU. He then joined Massachusetts Institute of Technology, USA, as a post-doc, working in the field of Li-ion battery research. Having returned to METU in 1998, he has led a research group with accumulated experience on processing, structural and electrochemical characterization of active materials used in lead-acid, nickel-metal hydride, lithium-ion, silver-zinc, zinc-air batteries, together with an experience in industrial cell making processes. Michael J. Aziz received a Ph.D. in Applied Physics from Harvard in 1983. He has been a member of the faculty at what is now the Harvard School of Engineering and Applied Sciences since he joined in 1986 and is now Gene and Tracy Sykes Professor of Materials and Energy Technologies. Aziz has made significant contributions to a number of fields in applied physics and materials science. He is a Fellow of the American Physical Society, the American Association for the Advancement of Science, and the Materials Research Society. Among his research interests are novel materials and processes for energy technology and greenhouse gas mitigation. He is the Faculty Coordinator for Harvard’s University-Wide Graduate Consortium on Energy and Environment, for which he developed a quantitative course on Energy Technology for a group of students in diverse disciplines. He is coauthoring a textbook, “Introduction to Energy Technology: Depletable and Renewable”. Aiming at eliminating the long-term performance loss caused by microstructural and chemical degradation of the conventional SOFC , significant progress has been made on lowering the operating temperature of SOFCs down to 550-700 °C. This, on the other hand, brings about a whole new set of challenges that originate from the slow electrode kinetics and ionic transport at these temperatures. In this lecture, first, a background on the operating principles, techniques of fabrication and characterization of conventional SOFCs will be provided. Then, the novel materials, fabrication techniques and cell designs that have been proposed for IT- SOFCs will be summarized. Aligul Buyukaksoy obtained his PhD from Missouri University of Science and Technology (formerly University of Missouri-Rolla) in 2013 with a thesis on the development of composite electrodes for solid oxide fuel cells . He was the recipient of Alberta Innovates – Technology Futures/ Eyes High, a postdoctoral fellowship program at the University of Calgary where he continued his research on SOFCs . In 2016, he joined Gebze Technical University as a faculty member . Dr. Buyukaksoys research interests include the development of novel nanostructured electrodes for intermediate temperature SOFCs, SOFC device design, understanding of the electrochemical reaction mechanisms in SOFCs. Dr. Babu Chalamala is Manager of the Energy Storage Technology and Systems Department at Sandia National Laboratory,. Prior to joining Sandia in August 2015, he was a Corporate Fellow at SunEdison (formerly MEMC Electronic Materials) for five years, where he led R&D and product development in grid scale energy storage. Before that, he founded two startup companies commercializing large format lithium batteries and digital x-ray sources. Earlier, as a research staff member at Motorola, Research Triangle Institute, and Texas Instruments, he made contribution to the development of electronic materials and device technologies. He received his B.Tech degree in Electronics and Communications Engineering from Sri Venkateswara University and his PhD degree in Physics from the University of North Texas. He is a Fellow of the IEEE and Academy of Sciences St Louis, a Life Member of the Electrochemical Society, and a Member of the Materials Research Society. As chair of the IEEE Photonics Society Technical Committee on Displays, he was instrumental in launching the IEEE/OSA Journal of Display Technology. He has been an active member of the Materials Research Society for twenty years and served as General Chair of the 2006 MRS Fall Meeting. He was a guest editor of the MRS Bulletin, Proceedings of the IEEE, and the IEEE Journal on Selected Topics in Quantum Electronics, and served on the editorial boards of the Proceedings of the IEEE and IEEE Access. He received the 2015 James Eads Award of the Academy of Sciences St Louis. Rezan Demir-Çakan completed her bachelor and master degree from Yildiz Technical University at the Chemical Engineering Department. She received her Ph.D. degree at the Max Planck Institute of Colloids and Interfaces , in Germany (2009), under the supervison of Markus Antonietti working on the synthesis, characterization and applications of hydrothermal carbon materials. Then she moved to France, the group of Jean-Marie-Tarascon, focusing on the rechargeable lithium batteries, more specifically on lithium-sulphur batteries between 2009-2012. Currently she has been working as an Associate Professor at the Chemical Engineering Department of Gebze Technical University. Her research interests include the synthesis of nanostructured energy materials and their application in the field of Li/Na batteries. Dr. Mario El Kazzi is currently a group leader in energy storage in Electrochemistry Laboratory, Paul Scherrer Institut, Switzerland. He obtained his B.Sc. Université Joseph Fourier and his Ph.D from Ecole centrale de Lyon/Institut des Nanotechnologies de Lyon in 2007. He has had a number of post-doctoral positions, namely Institut des nanotechnologies de Lyon, Synchrotron SOLEIL, IBM Zurich Research Laboratory before joining PSI. Dr. Mario El Kazzi’s research incude such areas as batteries and solid oxide fuel with main interest that may broadly be described as surface science. He has expertise on X-ray Photoemission Spectroscopy (XPS), X-ray Photoemission Diffraction (XPD) and Molecular Beam Epitaxy (MBE). Dr. Duncan Fagg is currently employed as a Principal Researcher in the nanotechnology research division (NRD) in the University of Aveiro, Portugal. He obtained his B.SC in Chemstry and Materials science Nottingham University 1992 and Ph.D. in Chemistry Aberdeen University 1997. He has over 20 years of research experience with previous placements in CICECO Aveiro, Portugal, ICV Autonomous University Madrid, Spain, Dept.Chemical Engineering, Patras Greece, School of Chemistry, St-Andrews University Scotland, and Risø DTU National Laboratory for Sustainable Energy, Roskilde Denmark. 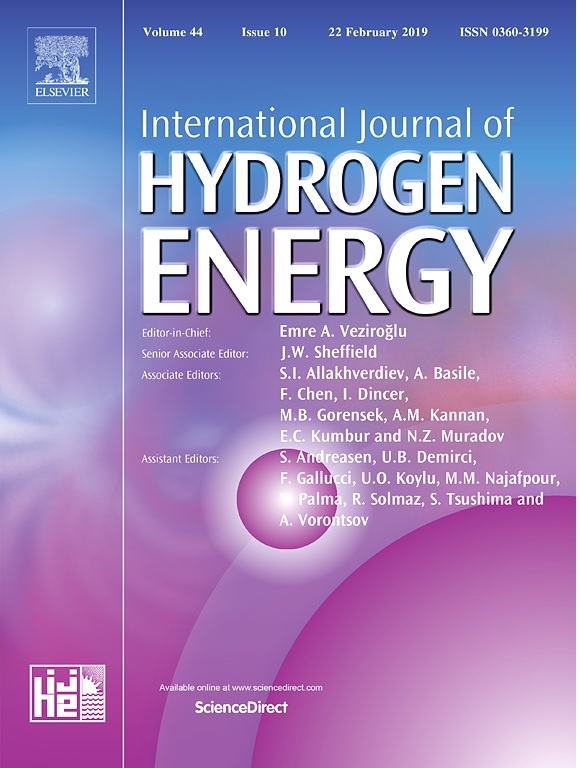 He is the author of over 100 international scientific publications in areas covering Solid Oxide Fuel Cells (SOFC), Solid Oxide Electrolyser Cells (SOEC), Oxygen separation membranes, Hydrogen separation membranes, Hydrogen Storage. 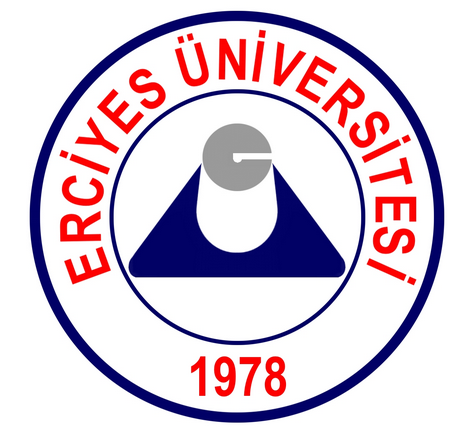 Mehmet Oğuz Güler is an associate professor in Sakarya University. He received his B.Sc and MSc from the same university and obatiend his Ph.D. in 2009 with a thesis on tin oxide anodes for Li-ion batteries. He was a DAAD fellow at Karlsruhe Research Center where he worked on thin anode electrodes for Li-ion batteries. He has experience in design and fabrication of batteries as well as of their testings. His interest covers synthesis of active materials at nano as well as at micro scale for a variety of battery chemistries namely Li-ion, Na-ion, Mg-ion and Li-air. 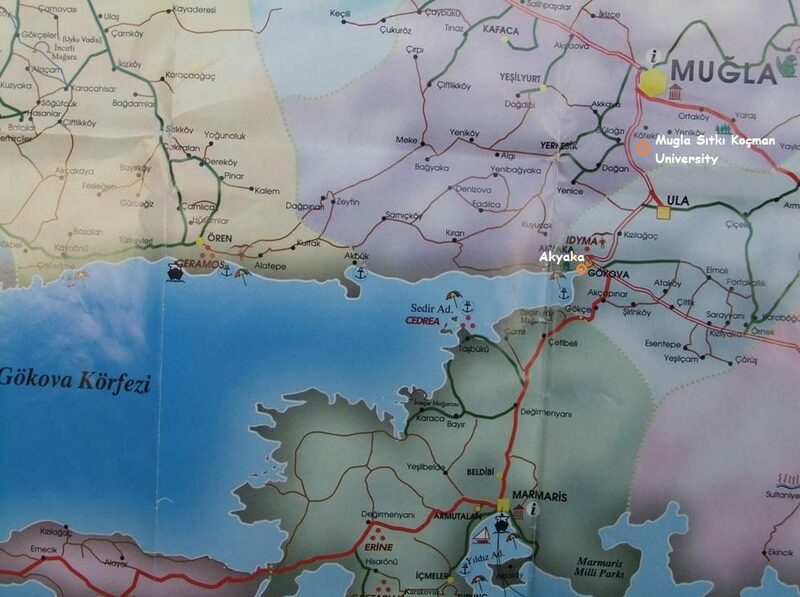 Currently Dr Guler is managing two bilateral projects on Li-ion and Na-ion batteries. He has more than 60 papers, 5 book chapters and 200 conference papers. A catalyst is a substance that accelerates the rate of a chemical reaction by proceeding the chemical reaction on a new pathway with the lower activation energy. On the other hand, catalysis is the occurrence, study, and use of catalysts and catalytic processes. The science and technology of catalysis is of great significance as it affects our daily life. It finds applications in many important sectors of the world economy; petroleum and energy production, chemicals and polymer production, food industry and pollution control, energy storage and conversion etc. In this regard, catalysis is an interdisciplinary field of science that concern researchers in many fields of science. In this lecture, firstly important concepts and terms in catalysis will be introduced. Next, the concept of homogeneous and heterogeneous catalysis will be discussed considering the activity, reusability and lifetime of the catalysts. After the brief introduction to the fundamentals of catalysis, the rational design of catalysts with optimum activity and selectivity for the specific reactions will be discussed. In the final part of the lecture, a considerably significant time will be spent on the introduction to the nanocatalysis and the selected catalytic applications of transition metal nanoparticles in energy storage and conversion will be discussed. Dr. Önder Metin received his B.Sc. 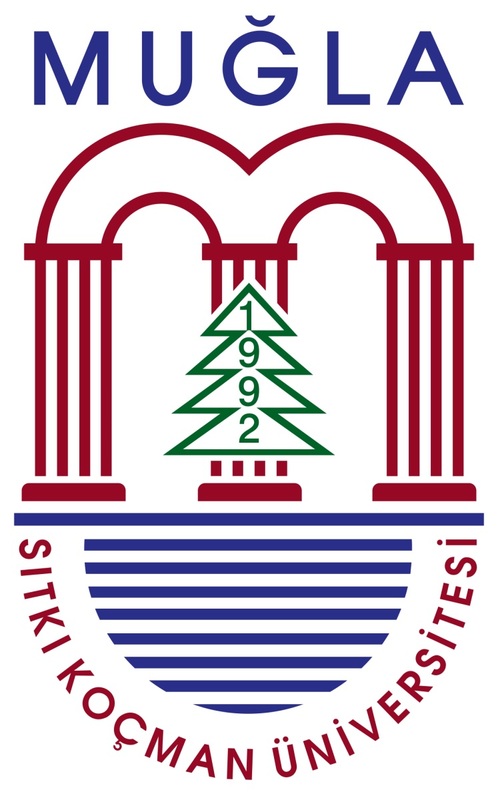 degree in Chemistry from Çukurova University in 2002. Then, he got a research assistant position at Middle East Technical University where he received his M.Sc. degree in 2006 and Ph.D. degree in 2010 at Department of Chemistry. During his Ph.D. studies, he got a chance to study as a TUBITAK research fellow at Department of Chemistry, Brown University (Rhode Island/USA) in 2009 and at Inorganic Chemistry Research Institute, Darmstadt Technical University, Germany in 2010. After his Ph.D., he moved to Department of Chemistry, Atatürk University as an Assistant Professor in 2011. He then joined the Department of Chemistry, Brown University as a Post-Doctoral Research Associate in 2012 for one year. After the post-doctoral studies, he turned back to Atatürk University and promoted to the Associate Professor level in 2013. He then moved to Department of Chemistry, Koç University, Istanbul, as an Associate Professor in 2018. Prof. Önder Metin received numerous scientific awards and honors, ancluding ; “TUBITAK Research Encouragement Award” in 2017”, “The Science Academy Outstanding Young Scientist Award” in 2017 and “Turkish Academy of Sciences The Highly Successful Young Scientists Award (TÜBA-GEBİP)” in 2014. Prof. Önder Metin has published 78 scientific papers with the total citations over 4000 with h-index of 31 . In this lecture, following the basics of X-ray diffraction, emphasis will be placed on in-situ characterization techniques based on synchrotron radiation using sequential Rietveld analysis..
Yunus Eren Kalay received his B.Sc(2001) and M.Sc. (2003) degrees in Metallurgical and Materials Engineering from the Middle East Technical University. He obtained his PhD in Iowa State University in 2009. He was a post-doc for 2 years in Ames laboratory before he joined METU where he is an associate professor at the Materials Engineering Dept. Professor Kalay’s research centers on amorphous alloys, namely on the evolvement and the control of amorphous structure during solidification. Prof Kalay has an in-depth expertise on material characterization techniques. This includes advanced electron microscopy techniques which he applied to a wide spectrum of material problems ranging from electronic packaging, rare earth-free magnets and single crystal enhancement. His expertise also includes in-situ experiments involving synchrotron radiation. He actively promotes the use of synchrotron radiation and in-situ experiments for material research. Prof Kalay is the editor of MATTER, a journal dedicated to publishing undergraduate research. He is also an active promoter of science in pre-university education. The focused ion beam (FIB) has gained widespread use in fundamental materials and technological applications in recent years because it offers both high-resolution imaging and flexible micromachining at the nanometer–micrometer scale. In the simplest case, it provides a fast and efficient sample preparation technique for TEM where the thinning can be positioned with a great precision. TEM combined with FIB based sectioning and tomography provide useful information with regard to morphology and elemental distribution in material system comprising sub-components at nanoscale, including interfaces. In this lecture, novel sample preparation methodologies as well as FIB tomography will be introduced and discussed. The complementary analysis will also be presented using HR-TEM imaging coupled with HR-SEM imaging for varying scales, from micron to atomic. Meltem Sezen received her PhD degree from Institute for Electron Microscopy of Graz University of Technology, Austria in 2009. She then continued working as a postdoctoral research fellow in Graz Centre for Electron Microscopy (ZFE) since 2011. She is currently working as a researcher at the Sabanci University Nanotechnology Research and Application Center (SUNUM). Her primary research interests include Focused Ion Beam technologies; Dual-Beam (FIB-SEM) instruments; correlative electron/ion beam irradiation damage analysis on conjugated polymers and organic semiconductors; nanocharacterization, nanomodification and nanostructuring of organic optoelectronic devices, nano-scale prototyping and machining using in-situ dual-beam applications, FIB based tomography and advanced TEM sample preparation techniques, Raman Spectroscopy and Wavelength-Dispersive Spectroscopy. Servet TURAN is a professor at Materials Science and Engineering Department and the director of Advanced Technologies Research Center at Eskisehir Technical University . He obtained his BSc degree from Istanbul Technical University (1988) in Metallurgical Engineering. He then moved to England where he obtained his MSc from Leeds University (1990) and PhD from Cambridge University (1995) where he worked on the characterisation of ceramic composites using high resolution transmission electron microscopy. After a year of post-doc at Cambridge, he moved back to Turkey and joined Anadolu University where he became a full professor in 2004. Prof. Turan is the deputy chairman of Turkish Society for Electron Microscopy. His research interests center on the performance-processing-property-structure relationship in silicon nitride based advanced ceramics, thermoelectric materials and more recently in lithium-ion batteries. He has a particular interest on the in-situ TEM studies as well as in techniques for detection and characterisation of light elements like lithium in scanning /transmission electron microscopy. Among various energy storage devices, supercapacitors have been considered as one of the most promising candidates. Supercapacitors have higher power density, longer cycle life, wider working temperature range, shorter charging times than batteries and may discharge very fast. They store energy using ion adsorption and/or fast surface redox reactions. This lecture will start with giving a historical perspective of capacitors especially emphasizing their reversion from “electronic or electrical components” into their first function: energy storage devices. Present usage fields of these devices in different industry sectors will also be outlined in this part of the lecture. In the second part of the lecture working principles and classifications of supercapacitors will be given along with electrochemical methods used for the determination of their properties. 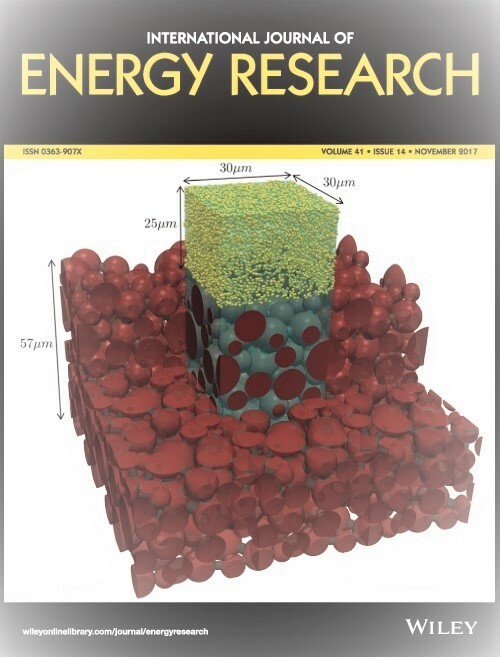 In the last section, new developments for supercapacitor materials and strategies for increasing their performance will be outlined. Mustafa ÜRGEN is presently working in the Metallurgical and Materials Engineering Department of Istanbul Technical University and leading the “Surface Technologies” group. He has received his bachelors, masters and doctoral degrees from Istanbul Technical University. After finishing his PhD, he conducted post –doctoral studies at Max-Planck Institute, Institut für Metallwissenschaften, Stuttgart, Germany (1988-89). His current research focuses on the hybrid deposition techniques, production and characterization of nano-composite structures, nano patterning of surfaces. He has also interest in alternative electrochemical methods for producing electroactive materials. He has more than 200 journal and conference publications and is one of the authors of 4 issued and 3 pending patents.